This is a truly unique opportunity! 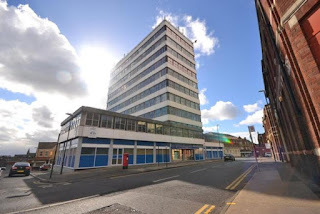 Located in the City Centre and most recently used as the headquarters of God TV, no less! If you are interested in this and do take it on I'd be very keen to be kept in the loop as I would relish the opportunity to see a project of this magnitude take shape at first hand!